SHANGHAI: The governments of Pakistan and China on Thursday signed an agreement to start a metro train project in Lahore, Express News reported. The agreement was signed in Shanghai during a meeting on the sidelines of the fourth summit of “Conference on Interaction and Confidence-Building Measures in Asia”. The 27.1 kilometres long track – named Orange Line – will be built at the cost of $1.27 billion. While speaking to the media after the signing ceremony, Punjab Chief Minister Shahbaz Sharif said it was a big day for the people of Pakistan. “The metro train will revolutionise the way people travel as it will make the commute trouble-free,” he said. In a meeting between President Mamnoon Hussain and his Chinese counterpart Xi Jinping in Shanghai, the two leaders agreed that the China-Pakistan Economic Corridor project should be completed on fast-track basis, Radio Pakistan reported. While discussing bilateral, regional and international issues of mutual interest, the Pakistani and Chinese presidents said mega projects signed between the two countries will make the entire region a vibrant trade, energy and economic corridor. Expressing confidence in the leadership of President Jinping, President Hussain also invited his Chinese counterpart to visit Pakistan. Time for the return on investment. Not sure what you mean. The metro is a good thing but not if we can't afford it. Remember it was the metro and the Burj Khalifa that put Dubai in trouble. 27Km is shorter than the Maglev in Shanghai - Airport to Mid-Town. 33 Km is my home to the airport in Karachi, and it's not really end-to-end. 27Km will not get you any return on investment unless it goes deeper by 10km on either side; unless extended it's there only for show for travelers/visitors. In Pakistan, the rich will always drive and not use public transport. For the metro to give you ROI, it has to cover localities that the poor and lower middle class can use for daily commute. Why complain if the Chinese are providing the financing and will probably have done the ROI studies themselves? Surely they are not actively chasing a sink hole for funds? Only Punjab? What about the rest of Pakistan? It's not a complain, I'm saying the plan is half baked. Plus it's not a for profit venture; public transport in any part of the world isn't. None shuts down because of losses, not in London, not in Toronto, not even the Karachi circular train. Even if they don't meet break-even point as planned, this is more of a grant by the Provincial Govt. to the city than financing. However, they have to sustain the operating costs. China is financing the construction and equipment which the provincial govt. will pay them, it's not a for-profit project of the city as such. It's a grant to the city, like any other public transport system. Firstly, this is a necessity, as in any other country, it was long overdue. Second phase is to sustain the costs, at-least run it at cost to maintain operating cost, repairs, and manpower expenditures. Pakistani culture is different, it's a taboo for the rich to be seen in public transport. I'm not supporting it as a good thing, but it is what it is. Supporting public transport system, like buses, are both private and Municipal. The private owners won't give free passes for metro riders and vice versa. So if a poor is travelling initially by bus to work will have to pay again to travel in the train; that is where the metro will fail. Commuters will continue their journey on the bus to incur less expenses. Hence I said, unless the route is extended to include the far flung areas, sustainability will be a challenge. Edited by Felicius, 23 May 2014 - 03:20 PM. Was talking about the break-even point too, not the Chinese making a profit. China isn't going to give away free money, but dont they normally provide the funding at very low interest rates or even zero interest for Pakistan? Surely in a city as large as Lahore, this can eventually break-even at a reasonable time...or at least the Chinese have done a full study on when this will be and found it to be acceptable? I do completely agree there has to be integration with existing transport networks and modules and also a long term plan to extend the system. Maybe this is just tier 1 of the network and more will come later? This is provincial. Other provinces will have to come up with their own projects and financing. This is where good governance comes in. Chinese private and government owned companies will be providing equipment and initial construction and consulting services, Punjab province will pay them. What the complete terms of payments are we don't know yet. Punjab province provides this service as a grant to Lahore municipal Govt. That is phase one. Phase two is the one I'm debating, sustaining it without the key stakeholders (the poor commuters). I am thinking Pakistan (not TTC of Toronto), so I will say integrating private bus operators with govt. run transport system to the extent they will give the commuters free travel passes for ongoing journey.... I will not say anything, except those passes will disappear and end up in the wrong pockets. Edited by Felicius, 23 May 2014 - 03:37 PM. You understand my point. Other provinces that lack even basic necessities won't approve such projects in Punjab. Even though this might be a provincial project. By the way, nice advertising by the Sharif brothers. Funnily enough they're congratulating the entire nation.. They don't have a say how the funds are utilized, it is not theirs. Why will other provinces object? Sindh, Baluchistan, GB, or KP don't have any say how Punjab utilizes their funds. Provinces such as Sindh and Balochistan lack basic infrastructure of any kind or worse don't even have enough clean drinking water. The same can be said for certain areas in Punjab. Punjab is building a train metro project. Talk about priorities. No matter what anyone says about utilizing funds, such spending is ridicolous whether provincial or on a governmental level. In fact, it's senseless and atrocious. Any person containing one brain cell could tell you that. Provinces such as Sindh and Balochistan lack basic infrastructure of any kind or worse don't even have enough clean drinking water. Punjab is building a train metro project. Talk about priorities. No matter what anyone says about utilizing funds, such spending is ridicolous whether provincial or on a governmental level. In fact, it's senseless and atrocious. Any person containing one brain cell could tell you that. So Punjab is responsible to pay for Baluchistan's infrastructure? That is the responsibility of the Baluchistan Government, no one else. They may ask for loans from Federal Govt if they have a sustainable project, but it's not the headache of any other province. Punjab has the responsibility to act maturely. Instead, it's acting foolishly in every single matter. The metro rail project is another example. Every decision taken by the government of Punjab is dividing Pakistan. Instead of becoming the government of Punjab the "elected" government must prove by its actions that it's actually the government of Pakistan. The metro rail project is another example. Every decision taken by the government of Punjab is dividing Pakistan. Instead of becoming the government of Punjab the "elected" government must prove by its actions that it's actually the government of Pakistan. That's your complain, that Lahore should not have public transport? Edited by Felicius, 23 May 2014 - 04:57 PM. 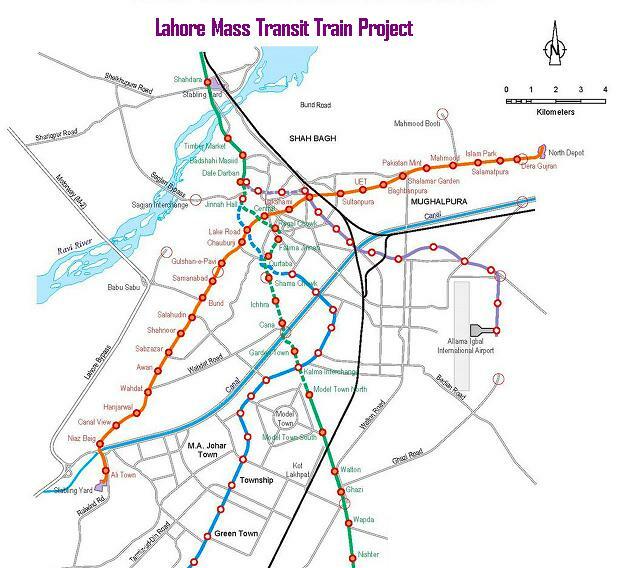 Lahore, Karachi and the Islamabad/Pindi area should all have a comprehensive dedicated metro rail and integrated transportation network in the long term vision for transport. Thats going by the 3 cities that have the highest concentrations of population in Pakistan...we should not talk and uneccesarily focus on this being Punjab, that being Sindh etc....rather where are the largest urban areas to be targetted for better development in Pakistan as a whole to maximise impact. All other cities should focus on an integrated bus model with dedicated bus lanes where required etc.... or something similar to what the Brazilian city Curitiba has for the major arteries. I have a feeling he may not fully understand how the government system works; financing in the Federal Vs Provincial Vs Municipal systems. Or he is simply being sentimental and putting too much emphasis on if one doesn't have then the other should refrain from becoming better. But first he has to elaborate on why is he complaining. Does he think that KP or Baluchistan were robbed of their tax share, or does he feel that Punjab is using KP's funds, or does he really think all the money belongs to the Federal Govt and distribution should be equal even though they do not contribute toward taxes. What is the crux of his complain? I think his point is that various areas in Pakistan suffer from lack of even the most basic of needs, and that the funding should be diverted there somehow....rather than spending on seemingly grandiose projects (in his view). The details of how this is done I guess carries various historical connotations that suffer from regionalism I would imagine....or at least perception. As to the reality, I think Punjab should not be ignored just because it has the biggest population. By virtue of this, it will therefore be the location of many high end expensive projects. The way I see it is that the urban areas cannot be neglected just to let the rural areas or less populated provinces "catch up" since no major country has developed this way. You always target the urban areas first because there is a greater impact for every dollar spent given the population cluster. This allows the cake to be baked bigger more effectively with the least amount of input ....and then you can tax this cake to develop the basic amenities elsewhere that are still lacking. But urbanisation has to be promoted, thats how you get industrialisation of a country. But whatever model followed, there needs to be a quantum improvement in governance and transparency, I think everyone can get on board with that....rather than simply saying too much money is concentrated and spent in Punjab. That is naturally what comes out of having the largest population. It would be interesting to see the spending figures per capita (for development etc) for all the provinces if anyone has this....at both federal and provincial level...this will illustrate any glaring deficiencies/discrepancies. They are providing the FINANCING. Financing costs. You have to pay it back, it's not free. You seem to have misunderstood what I said. I never said its free financing....but this money is obviously being provided at low interest with few strings attached (and probably a generous repayment structure)....definitely a lot better than a WB or IMF loan. With all that considered, the Chinese are not going to be investing in a white elephant since they obviously want the project to be break even in a reasonable timeframe. You clearly need some reading glasses. The metro system is unjustified when most Pakistanis don't have access to clean drinking water or proper education. Why not put the same effort and vigour in improving the education system in Pakistan with the help of the Chinese? Be it in Punjab or other provinces of Pakistan. There are tons of other reasons why this PR stunt by your government of Punjab is illogical. Everyone knows this except you and your Indian friend. Obviously, in your view a rail metro system holds more significance than health and education. as long as the project involves steel, you will get thumbs up from SS and NS. After all Itifaq Founderies need to make money. Fly overs, metro bus, metro trains. But no work of real substance has been done. You have elevated them from traitors and thieves to shopkeepers and foundry owner, almost giving them credibility! Everyone knows this except you and your Indian friend. And here we go with the labelling yet again...sigh...I think I'm going to take a breather from this forum. No matter what I post, I get labelled every few months as an "Indian" because someone doesnt like what I have to say for whatever reason. Penguin, topgun101, M1 tanker....I think I will join them....at least for a while. I'm not going hide my feelings. Personally, I hate double faced Indians. I absolutely abhor them. Don't expect any sympathy from me. The sooner you leave the better. They say that a picture is worth a thousand words. Well, this picture is worth more than a million, but I'm sure most Punjabis are satisfied with the bus service. To hell with education and health. A bus and metro ride is more important. For the price of 1.27 billion, the poor taxpayers are paying for the rich peoples' facilities. And for that price, its nearly one fifth of the pricetag which costed to build the Øresund Brigde, connecting Sweden and Denmark across the ocean. The metro deal is a heavy burden for the taxpayers, who are in fact the real loosers behind this deal. The winners are the people who will enjoy the facilities, the manufacturers and local Pakistani companies who have close sifarishi contacts with shahbaz sharif the highness of beyghaitiy laanity chawwal manhoos khabees khanzeer o kuttapan dalaal o jahalat! Mubarak to the idiots who voted for the idiot brothers, now live deal and cry over them, their action and failed decisions. The Pakistani awaam has no one other than blaming themselves for not changing themselves and deciding their own future. Poor children, uneducated people, no clean water and food? Doesnt matter Babur bhai, as long as our family, our children, our money, our wealty, our respect izzat, our house, our inheritage, our car(s), our parrot, donkey, horse, cow, goat, farm, our farming, our holiday, our travel, our votes, our road, pur neighbourhood.... Everything which is related to our-ness is not effected, hurt and damaged then it is NOT our problem... Because that is the harsh reality of Pakistan, its people and mindset. our religion, Prophet SAWS and Islamic Welfare State of Madina after the Blessed Death after him SAWS, has what could stop the social injustices in Pakistan but the huge demoralized collapse of the society has ended up with a tiny marginal of people who are rolemodels but no leaders. Eg Abdul Sattar Edhi, he cant come forward because he is honest and being honest in Pakistan is an insult for politics and showing the way for stopping social injustices in Pakistan is like taking away rights from yourself when we are born for fulfilling others rights and justice so we can stand infront of the Creator as responsible courageous and pious characters. Quit your yapping already, you did the same thing in PTI thread. I read you very clearly. This argument started with your jealousy "Only Punjab? What about the rest of Pakistan?" Bloody 67 years have passed and other provinces should develop infrastructure of KP, while they are still demanding tax exemption in that province. Edited by Felicius, 26 May 2014 - 02:57 PM.